10% OFF COUPON Quality Embroidery Stabilizer Backing ONLY 30 AVAILABLE! ✔️ NEVER WORRY ABOUT YOUR RESULTS AGAIN! Get proven superior quality stabilizer backing that you can count on for a successful project every time. Please see our reviews! ✔️ EASY TO USE. Whether you are doing hand or machine embroidery, you will benefit from using this stabilizer backing. Convenient pre-cut sheets in 8″ X 8″ or 10″ X 12″ easily fits 4″ x 4″ or 5″ X 7″ respectively, embroidery hoops. 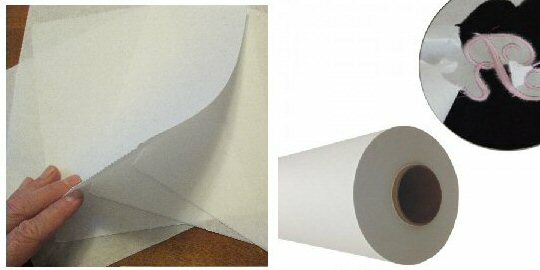 Or choose our bulk roll of 12″ X 50 yards.